Constructed of stainless steel, plated and painted steel. 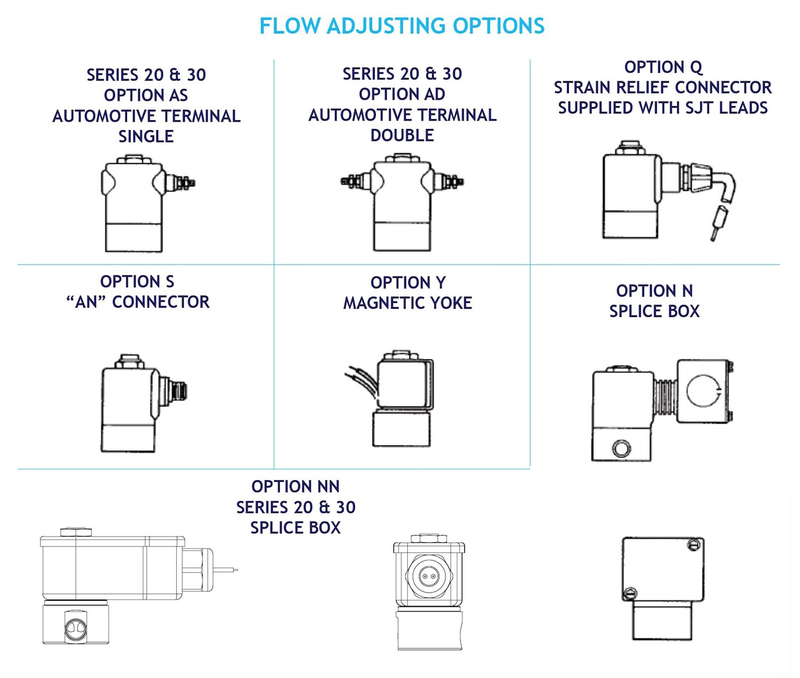 Styles include strain relief connector, single automotive, double automotive, AN connector, splice box, yoke, conduit, grommet, bracket, potted coil and housing. An optional 2-3/16 x 1-25/32 x 1-1/2 copper brazed steel splice box housing, offers three standard 7/8 diameter knock-outs providing wiring access from different locations. Solenoid valves coils leads are 6’’, #18 wire; a ground terminal screw provided inside the box. Optional wall or panel mounting brackets may be specified as required. Any Series 20, 30, 50 or 70 solenoid valves can be mated to the slice box, which will be UL listed for the use with UL listed valves. 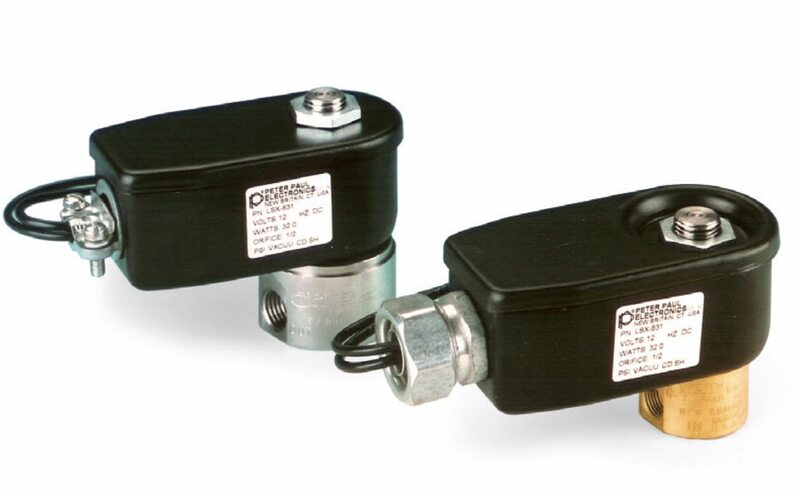 Series 20 (stainless steel) or Series 30 (brass) universal slice box options, provides space for multiple wiring hookups and an easy access cover for quick and inexpensive field wiring connections directly to the solenoid valve. 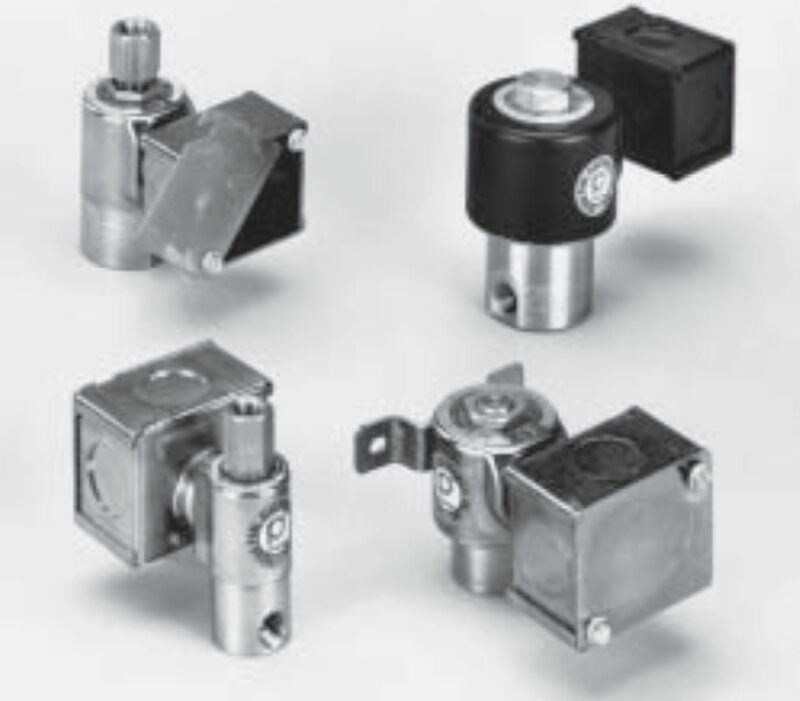 Any standard Series 20 or 30 solenoid valve can be mated to the slice box, which is UL listed for the use with UL listed valves.